I have faced rounding issue with quantity 2.5 and price 4.83. I found that issue came from the account compute_all() method http://bazaar.launchpad.net/~openerp/openobject-addons/trunk/view/head:/account/account.py#L2072. For currency OpenERP use float_round() function to "fix" rounding issue, but here python default round() function used and of course it don't round correctly. And from here comes, why in the other accounting parts float_round() is not used instead round()? Would you please provide more and sufficient steps to reproduce it. 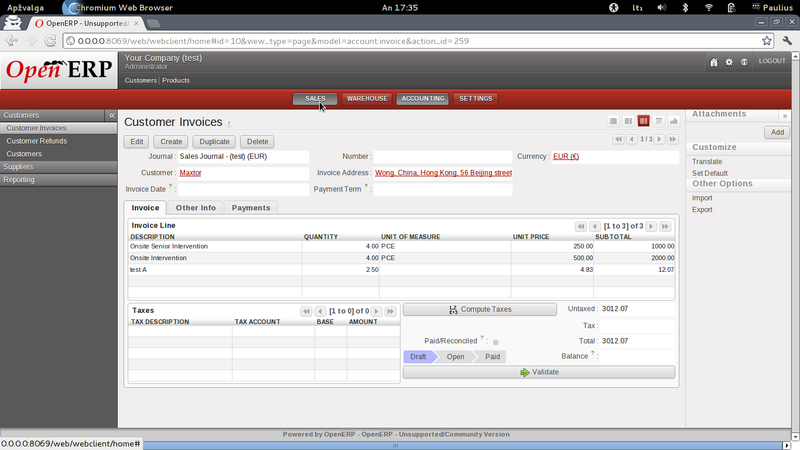 check invoice screenshot and 3rd invoice line with description "test A" and you can see that subtotal is not correct. I have tested this on the v61 stable last revision. I have checked further ,But ended with same result. For your more reference ,I have attached screen-shot.Please have a look. I have pulled last revisions now and rounding still incorrect, please give me your python version and try on yours: python -c "print round(2.5*4.83,2)", what value you get? Its a bit strange why we get different result with same source. 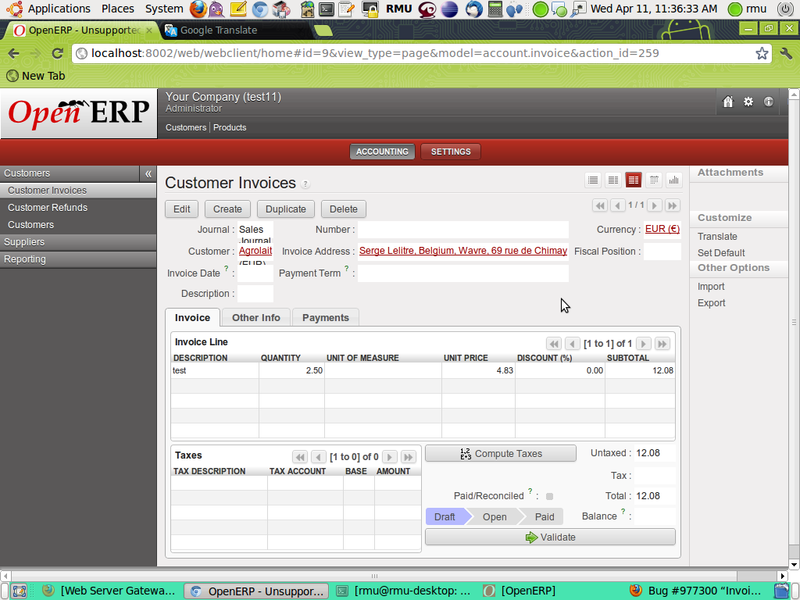 I found in the docs, that OpenERP support 2.6 and 2.7, so seems problem comes because Python versions act different. As per different python versions ,I am conforming this issue. It has been fixed on lp:~openerp-dev/openobject-addons/trunk-bug-977300-rmu branch with following Revision Number and Revision ID.